Synduit was missing a reliable technical partner who can provide bandwidth and necessary expertise to build the platform while keeping their financial investment in check. Which is why they partnered with our Open Source support team. The mission was to take Synduit’s robust proof of concept and launch and maintain a dynamic marketing platform, while sustainably improving the customer experience post-launch. Axelerant brought forward DevOps and Drupal Content Management System (CMS) expertise and sound delivery practices, ultimately driving Synduit with continuous support. In 2012 Synduit was bootstrapped as Synpractic, an automated marketing solution for Chiropractors. From these beginnings and with Axelerant’s Open Source support and DevOps solutions, Synduit embraced application agility, rapid deployment, scalable software development, along with high performance and security. 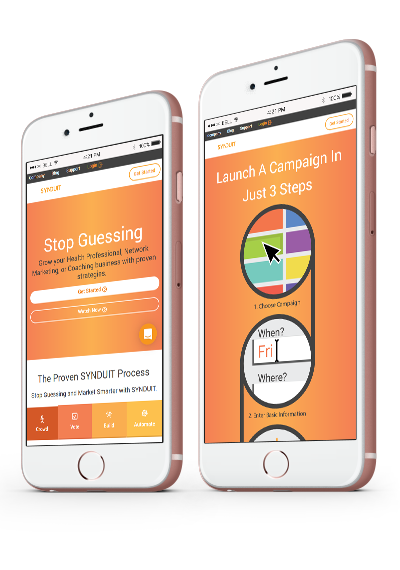 Synpractic evolved into a dynamic crowdsourced marketing and business growth platform at large, designed for Health Professionals, Network Marketers, and Coaches. Synduit had to face a rapid evolution: moving from a bootstrap setup, respond to fast changing market conditions, speeding up time to market, supporting channels for customer interaction, and other significant challenges. They leveraged our elite Drupal CMS support and DevOps staffing solutions, tackling workload overflow, while focusing primarily on maintaining margins and client acquisition. Their team remained client-facing while Axelerant drove the product roadmap. 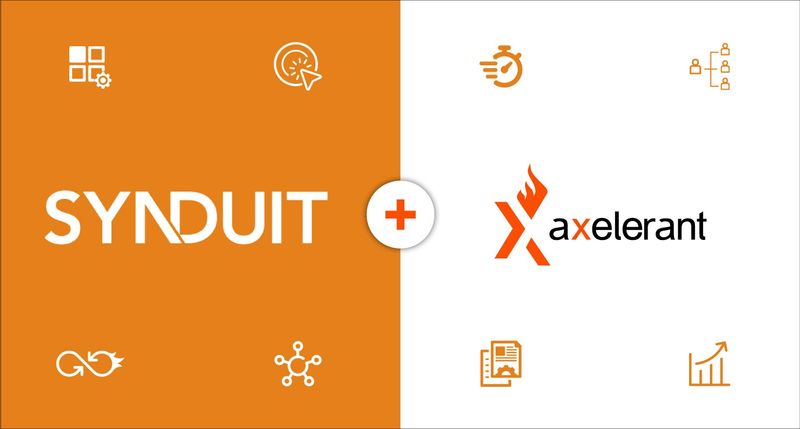 While Axelerant enables support partners to begin anywhere, across the software delivery lifecycle based on their needs, Synduit is addressed an end-to-end life cycle: Plan, Develop, Deploy, and Operate. Support partnership with Axelerant helped Synduit plan and identify resources needed to test their proof of concept or their “Synpractic vision” and then scale to Synduit. Axelerant provided required developers and quality assurance staff to execute and provide rapid feedback from business stakeholders. Axelerant DevOps culture allowed Synduit to execute continuous integration of code and deployment several times a day. Working together with Axelerant also helped Synduit understand application performance and pain point validation. In an age where the life of the Fortune 500 company is steadily shrinking, continuous evolution should be a part of every company culture. Likewise for startups like Synduit. The high hurdles, product pivots, and the diverse needs of Synduit could only be met by a dynamic and shifting team of experts. This called for dedicated bandwidth and velocity for feature development and highly flexible expertise—assigning the right person to the right problem. Driven team members from both Axelerant and Synduit needed to collaborate efficiently within the Synduit’s startup culture. Synduit needed a centralized platform enabling its customers to manage their end-to-end marketing needs. Synduit customers provided a unique website—a sub-domain with individual Drupal containers. To achieve this in scale, optimizing the software architecture and choosing the right components in tech stack was crucial. Axelerant implemented Open Source based Rancher, a Docker orchestration software to host 2000+ Drupal containers. Docker provides an integrated technology suite that enables development and operations teams to build, ship, and run distributed applications anywhere. "Axelerant is committed to getting the job done... with strong technical skills, they're fearless when venturing into new areas."